Karl O'Connell of Monaghan tangles with Tyrone's Frank Burns during the Ulster Senior Football Championship quarter-final at Healy Park. Picture Margaret McLaughlin. KARL O’Connell’s consistently excellent performances don’t always get the headlines they deserve. Alongside the likes of Fintan Kelly and Dermot Malone, O’Connell can be one of the overlooked workers who helps to make top scorer Conor McManus look so good. Last weekend the athletic O’Connell put in a superb shift for a Monaghan side that left nothing to chance against Galway. 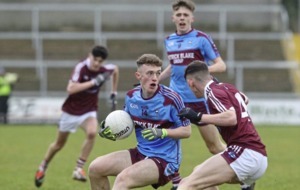 Strong, fast and determined his tackling and tireless workrate created the turnovers that laid the foundations for the scores that forged Monaghan’s win in Salthill. Tyrone ball-carriers will find him a formidable obstacle when they try to break down the Farneymen in Sunday’s All-Ireland semi-final. “I've always said it, it's a big thing playing for Monaghan,” said the Tyholland clubman. “I don't care what it is, if it's a McKenna Cup, if it's a challenge game, I always take pride in pulling on the Monaghan jersey because there's a lot of good players that have represented this jersey in the past. “At the end of the day it goes back your club and your family, that win is just as important as much as my club and my family and friends. 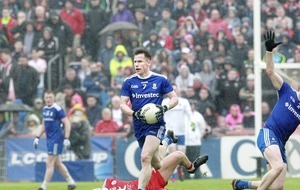 He’ll be happier still if Monaghan can get past Tyrone on Sunday. 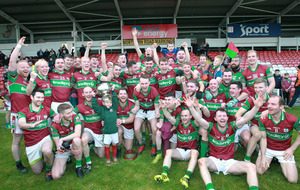 “Sunday is another Ulster battle, another top team,” said O’Connell. “As a lot of pundits said, that was the game of the weekend and probably rightfully so and Tyrone have a lot to say. There's a lot of football still to be played. Topping group A meant Monaghan avoided playing Dublin, who face Galway in Saturday’s first semi-final. 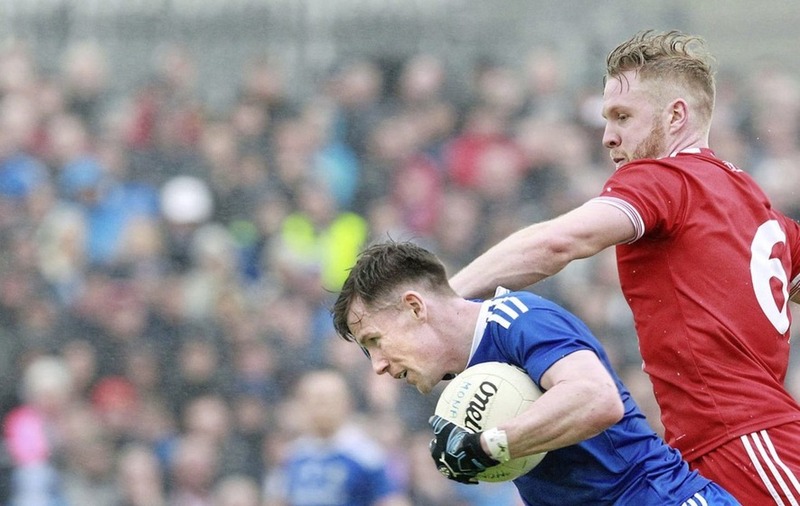 The Monaghan plan, says O’Connell, was to top their group and then deal with what came next. “At the start of the year getting to the Super 8s was our plan, when we got there it was the plan to top the group,” he said. “We want to be going in with a winning mentality, when you win games it's an unbelievable thing that you have in your brain, the mentality. That's what it's all about. “It doesn’t matter who you're going to get in the next round, it's going to be a top team, it’s going to be a semi-final. Within a week you’re in an All-Ireland final, it's going to be tough, simple as. After their loss to Fermanagh in Ulster, Monaghan were dubbed as ‘chokers’ by some commentators, but O’Connell was confident that the Farney squad had the resilience to draw a line over it and move on. They’ve done so with a six-game unbeaten run that includes wins over Waterford, Leitrim, Laois, Kildare and Galway and a draw with Kerry. “We knew within the squad that the Fermanagh game was a mishap,” he said. “That happens, you win games, you lose games, it’s all about bouncing back. “We got back to where we wanted to be, very unfortunate not to get to an Ulster final but Ulster finals are long gone and over, it's the business end of the year and we're very happy to be here.